Getting from tee to green (cart is best). 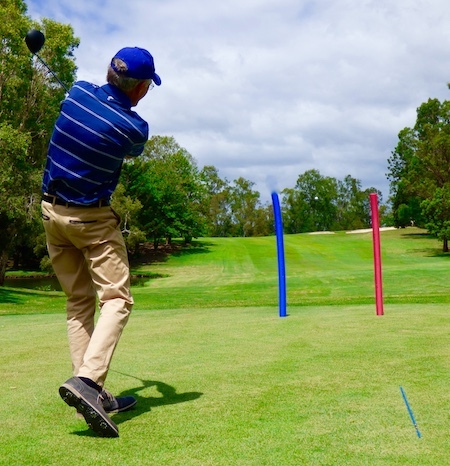 How can we produce a more solid contact, a more consistent centredness of hit, good clubhead speed with predictable flight and shot shape – from least effort. Reading the ball flight and shot shape by understanding the relationship between Swing Path, Face angle and Angle of Attack..
Knowing your tendencies and how to make the good shots great and the roughies at least ‘friendly’. Understanding which drills, mental pictures and training to use when practising, to help improve your performance… even on medal days! Bookings available on the web-site or through the Golf Shop.